Who would have thought that there would be a relaxing, absolutely gorgeous winery in the beautiful southern countryside of Tennessee? If you haven’t heard of Arrington Vineyards, I guarantee you’ll add this to your “must do” list while traveling in Tennessee! Here at Recipes Worth Repeating, I have many sponsored posts, but this is NOT sponsored by Arrington Vineyards. I chose to write about my experience based on my visit. What I’ve shared below is of my own opinion. I just want to kick this post off by saying that yes, Recipes Worth Repeating launched as a food blog and that will always be the foundation behind what I do here…always. That is not changing. But, have you heard of the phrase “recipe for success”? There are so many “Recipes Worth Repeating” in life. The definition of the word recipe is, “something that is likely to lead to a particular outcome.” And that’s what I bring you here at Recipes Worth Repeating…I bring you amazing food recipes. I bring you recipes for great travel experiences and expectations. And I bring you recipes for how to take some fantastic photos. And I’m SO excited to kick off the travel section of Recipes Worth Repeating with my first travel post on my experience at Arrington Vineyards in Arrington, Tennessee. Travel is a BIG part of our family’s life. I travel internationally and domestically for both work and pleasure. It is super important to me and Mr. Mason that we expose our children to this big world we live in. Even though there is so much hurt, pain and turmoil going on in our world, I choose to focus on the beautiful. I choose to educate myself and my children on the wonders of this world. If you follow my blog, you know that I’m born and raised in Franklin, Tennessee. At the age of 23, I packed my bags and moved to Sacramento, California to finish college and that’s where I met Mr. Mason. My husband travels for a living so he totally “gets” travel. He has zero issue with me coming home to Tennessee to visit about 1-2 times a year and for that I’m thankful. Both he and our children have fallen in love with my home state of Tennessee and even though Arizona is our 1st home, Tennessee is our extended home…and it always will be. So let me start off my post stating this…every single time I go home to visit Tennessee, I become a tourist. Yep – I grew up in Tennessee and I lived there for 23 years….but that was 16 years ago. Do you know how much Franklin, Arrington and Nashville Tennessee has changed since I left?!?! Like a whole lot…it’s so unbelievable how much it’s changed…let me elaborate. Do you see this beautiful scenery? I grew up 10 miles from here and let me tell you this was NOT here when I was growing up on Wilson Pike in Arrington, Tennessee. Have you heard of the country music duo called Brooks & Dunn? Well, in 2007, Kix Brooks opened it’s doors so others could enjoy a “wine country experience”. And that I did…I enjoyed an AMAZING day at Arrington Vineyards all by myself! This post is going to give you 7 reasons why you should visit Arrington Vineyards. I almost missed the Arrington Vineyards wine experience. Like I said earlier, I’ve been going back home at least 1-2 times a year since I left in 2003. I heard that Arrington Vineyard opened in 2007 and I’ve been wanting to visit every single time I go home to visit. But I always jam pack my visits and it’s just never happened. My best friend had her baby in August of this year so I planned a special trip visit her by myself without Mr. Mason and the kiddos. Of course, I packed my schedule like I always do…I scheduled a photo shoot at The Cheekwood Mansion, attended a family reunion and made arrangements to see friends and family. I told everyone I wanted to go to Arrington Vineyards and that I was going on a Monday….but no one was available to go with me! My friends were either working, or it was the first day of school for their kids…and then it started raining so no one wanted to go. But I was determined – I was going to Arrington Vineyards, even if it meant I was going by myself. And so I did (it did eventually stop raining)…I went by myself and I had the most amazing time! Don’t get me wrong, I was bummed my friends couldn’t come with me but let me tell you, I had a BLAST by myself! I grabbed myself a glass of wine in the middle of the day on a Monday, sat on this exact swing and enjoyed about 20 minutes of absolute peace and quiet. No phone, no social media and no one asking me to fix their problems. It was so surreal and…perfect. Here’s my recommendation….yes, Arrington Vineyards is a GREAT place to experience with your friends or that special someone. It’s absolutely beautiful…but do not be afraid to go by yourself. I had the most amazing and relaxing day exploring and enjoying Arrington Vineyards…all by myself. 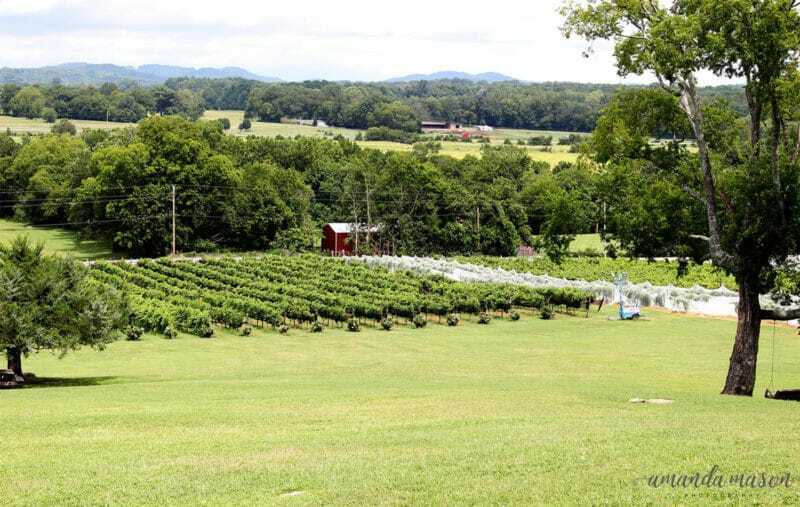 The rolling hills and countryside of Tennessee are gorgeous and Arrington Vineyards is at an elevation where you can experience all kinds of beauty. You can see trees, hills, farmland and mountains for miles. There are swings everywhere at Arrington Vineyards and you better believe I sat in every single one of them and enjoyed the peaceful view…with an amazing glass of wine, of course! Arrington Vineyards has picnic tables EVERYWHERE! You can also bring your own blankets and camping chairs. Arrington Vineyards also has the super cool option for you to have food delivered to you from Simply Living Life. You want to talk about a fantastic experience…have a picnic with that special someone, with this food, with THIS scenery…oh my goodness what an amazing experience! They have picnic tables near the vineyards…what a perfect place to enjoy a snack and a glass of wine! You can head into their little store by the tasting bar and purchase some nuts, crackers, cheese and meats! Then, you can head out to the patio and enjoy a snack to pair with the wine! AV Expanded Tasting – Sample 8 wines at the tasting bar for $14. This gives you the opportunity to taste more wines and have questions answered by Arrington Vineyard wine experts. AV Classic Tasting – Sample 4 wines with for $7 at the bar with an Arrington Vineyard wine expert. AV Picnic Tasting – I did this one and I highly recommend it. With this option, you choose any 4 of their wines and they’ll pour 2 ounces of each one into disposable glasses placed in a convenient carrying tray for $14. They also include tasting notes and wine crackers and chocolate! You can take the 8 ounce “Picnic Tasting” back to an outside table, swing or picnic spot. This is a super convenient way to taste and enjoy 4 wines at your own pace with an amazing view of the scenery! 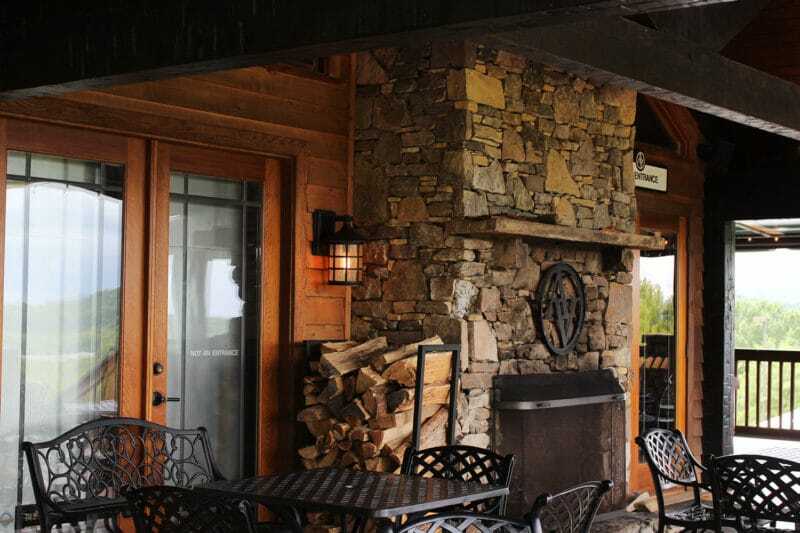 The AV Premier Experience – This is a private tasting option and it takes place in their Wine Loft, overlooking the vineyards and the hills of Tennessee. There are 5 of Arrington Vineyard’s award winning wines for you to taste and they pair them with gourmet cheeses, charcuterie and black-raz chocolate truffles. This tasting experience is amazing because it begins with a guided walking tour of the Barrel House and Wine Production Facility. Then, it takes you to their private Wine Loft. This experience requires a reservation and it’s currently only available on Fridays, Saturdays and Sundays. It’s $50 a person and sounds so amazing! I guarantee Mr. Mason and I will do this experience the next time he joins me in Tennessee! Let me talk about the wine options for a minute. Chardonnay 2015 – this wine has aromas of nectarine and orange blossom followed by the flavor of lemon drop, pear and apple tart. Riesling 2015 – a lot of Rieslings are too sweet for me but this one was just perfect. This one has aromas of lemon, melon and grapefruit finishing off with a taste of green apple. Raspberry 2016 – I didn’t think I was going to like this one but it turned out to be my favorite. This one has aromas of raspberry juice balanced by the natural tartness of the raspberries. Syrah 2014 – I love a good Syrah…this one is full-bodied and has flavors of blackberries, vanilla oak followed by flavors of plum, blackberry and clove. The wine tasting packages are amazing here at Arrington Vineyard! Definitely check out their Wine Club! I visited the vineyard on a Monday during the day, so I didn’t get to enjoy the music but my friends and family tell me the music is so awesome at Arrington Vineyard. On Friday, Saturday and Sundays they have live jazz in the courtyard and bluegrass on the lawn. For a list of their live music calendar, check it out here: Music in the Vines. What a great way to spend an evening!! Cellar Patio – Perfect location for Bridal Showers, Birthday Parties, Dinner Parties. Courtyard Tent – A great location for Mixers, Fundraisers, Corporate Dinners. The Stone House – A beautiful area for Weddings, Business Meetings & Fundraisers. The Grand Barn – I’m loving this southern option!! Great for Family Reunions, Corporate Retreat & Anniversary Parties. The Vineyard House – Ideal for Rehearsal Dinners, Corporate Meetings/Dinners & Baby Showers. The Premier Experience – This sounds so fabulous….the perfect experience for Date Nights, Proposals, Bachelorette Parties, Corporate Mixers. Ok, so yes, it’s super cool that a country star owns Arrington Vineyards, but that’s not why I’m writing about “The Ownership” as a reason for visiting Arrington Vineyards. It’s strictly based on an experience my uncle had while he and his wife were visiting one spring afternoon. My aunt and uncle had a super busy week one week last spring and decided that they would walk the vineyards to take a break from the “hustle and bustle” of life. With a glass of wine in hand and walking the grounds, my uncle saw a man hammering away at a broken fence in the vineyards. He thought the person resembled Kix Brooks and sure enough, when he walked up to the man it was Mr. Brooks tending to one of his fences. My uncle and aunt carried on a 5-7 minute conversation with Kix Brooks and they said he was the most kind and welcoming person. Mr. Brooks said he was thankful they took time out of their day and chose his vineyard to get away from the stresses of life. And THAT, my friends, is kindness. That is the southern hospitality Tennessee is known for and that is why I mention the ownership. The ownership is kind and good people and who knows, you might just run into Mr. Brooks! Now…if only I could run into Taylor Swift with my 10 year old daughter with me. That would make her year! So there you have it…7 key reasons why you need to visit Arrington Vineyards when you’re in Tennessee! I had the most amazing day while visiting and I’m proud to say that THIS is my home. One last piece…let’s talk photography real quick. I always want to be super open about what camera I’m using and what len(s) I use use for each post. A lot of people ask me, “What camera do you use for food photography?” Well, I’m happy to tell you what I used in this post!! For the wide landscape and wide angle pictures in this post, I used a Canon Rebel T5i with both the 18-55mm IS STM Lens. For my close up shots, I used this lens: Canon EF 50mm f/1.8 II Camera Lens – Fixed. I’m always happy to talk photography so leave me a comment if you have questions! 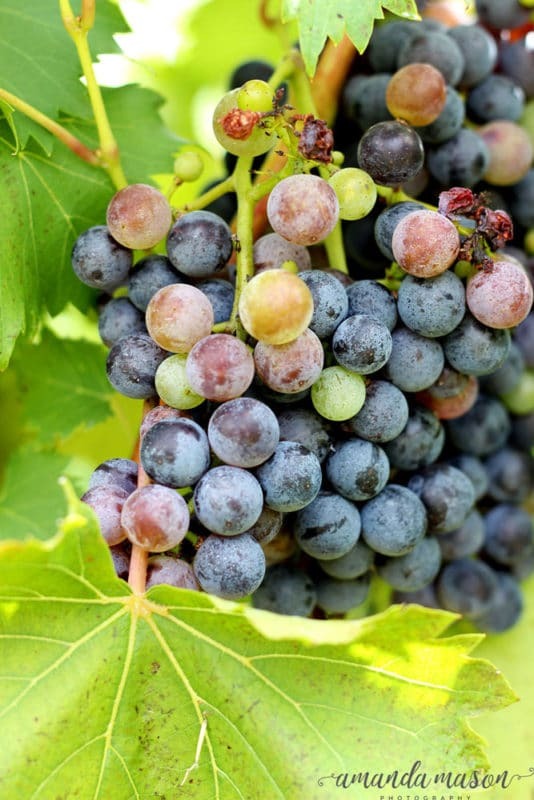 PIN this “7 Reasons to Visit Arrington Vineyards” to your favorite TRAVEL board on PINTEREST! Great post! I went there for my friend’s bachelorette party. Her last name is now Arrington, so it was only fitting to go. We loved it, it was a beautiful place. Yes- it’s super beautiful!! So funny that her last name is now arrington! Did me marry one of the founding family members?